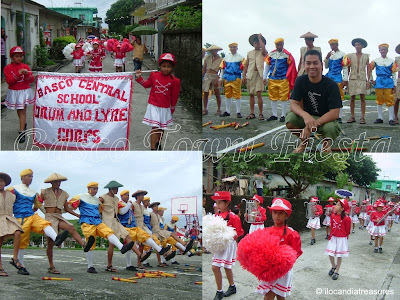 The Basco Town Fiesta is supposed to be held on August 08, 2008, Friday but due to heavy downpour it was postponed on Sunday August 10, 2008. Palu-palo festival was featured on the town fiesta. This is a cultural presentation of the municipality of Basco, Batanes, showcasing their ethnic group’’s rugged yet storied existence. Palu-palo means sticks or arnis that were used by the native Ivatans to fight the forces of the colonizers such as Spaniards and the Dutch. The natives wear the traditional suit made of indigenous materials from the bark of trees which were flattened. This year’s celebration was a simple one. A group of young volunteers organized the fiesta just to carry on with the tradition. This has not given much attention nowadays since each village conducts its own fiesta. I work at Adarna House, a children's book publishing company in Quezon City, Metro Manila. 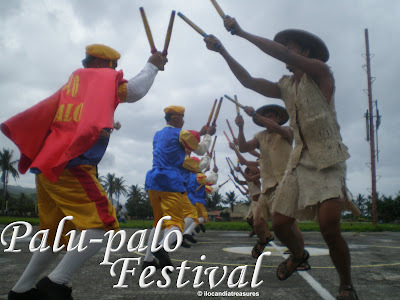 We are coming up with a reference book titled "Regional Profiles: People and Places" and we would like to ask your permission for the use of your photo of the Palu-Palo Festival in Basco, Batanes (http://www.ilocandiatreasures.com/2008/08/palu-palo-festival-of-basco.html). We will credit you in the Photo Credits page of the reference material should you grant our request, and we will send you a digital file of the page where your photo will be featured. I am hoping for your consideration and immediate response. I am bryan viray, a graduate student in norway. I am planning to study the dance for my dissertation. Would you be able to help me find relevant contacts? I hope to hear you response.